The Wiegands: if you really knew me. You would know that turning the music up and putting the windows down in my car makes me happy. You would know that I would rather have candy & chocolate over flowers any day. You would know I struggle with fear. and that I thought when I was younger that once you got married you are suddenly not insecure anymore...and just automatically love yourself. You'd know that I was wrong about that. If you knew me you'd know I love peanut butter/ turkey sandwiches and that I don't drink coffee. You'd know that I struggle with thinking if you are beautiful, you are loved... and how the past 10 years I have slowly learned to accept how jacked up that is. You would know that my kids and Chris are my world. you'd know that I don't need much sleep and things don't stress me out very easily. You would know that I love to write and paint and walk and dream. You would know that I have dreams and a lot of them entail my kid's "someday" dreams. You would know that I hate smells of any kind. That I love long walks at night with my family, but don't take them enough. If you knew me, you'd know that I fear losing someone I love.... or fear I won't be around to protect and love my kids as long as I hope to. You would know that I love the candy "riesens" and literally can't have them in the house because I will eat the entire bag. You'd know that I love a clean house. and that house chores don't bother me all that bad- grocery shopping is my least favorite. If you really knew me, you'd know that I hate scary movies....and am terrified of rollercoasters. If you knew me, you'd know that everyday I eat a tiny bowl of cool whip with chocolate morsels. And that silly things like stickers make me happy. If you really knew me, you'd know my favorite book is "A Beautiful offering" . and that I would love to meet the author someday. and what my goals and passions are. Love this post Casey! I will share mine too! We definitely have some things in common. i can't tell you how much this part rings true with me... why do we think things like that? "You would know I struggle with fear. and that I thought when I was younger that once you got married you are suddenly not insecure anymore...and just automatically love yourself"
love this post, and love your heart! you are so sweet, and inspiring :) so, thanks for that! That picture of Ains and your hubby is just timeless. Something you could have framed and as she gets older she'll always get to see/remember such a tender moment between her and her daddy! I loved this post, I have seen several of the "if you knew me post" and I have one in the works myself! Just bought "A Beautiful Offering" so glad to hear that you loved it. Hoping to start it soon! I love your honesty and my heart longs to connect with a friend who isn't afraid to be vulnerable and who values the same things I do! and i think i like you just the way you are! i think i lived near, we'd be two peas in a pod. I adore that picture. So cute. You write so well... one day I'd like to meet you because I think our hearts have some things in common. Oh, and candy riesens. LOVE those. I put them in the freezer, but they don't last very long so I don't buy them often at all! i always look forward to your friday posts and hearing what's on your heart. i feel like we have alot of similarities...the parts about beauty and insecurity. you are special to many, sweet case. Love that picture! And I'm a chocolate girl over flowers too!! Happy Thursday!! Such a sweet sweet pic! Love this take on a blog post and getting to "know" you more and more! Hugs and love friend! I love that someone else in this world doesn't drink coffee. I was beginning to think I was alone on this. I also love long summer days and having the windows rolled down. Nothing better. I'm so glad you did this post. I wrote the same one a few days ago, but it was not this deep. I too hate scary movies and roller coasters! I don't know anyone would choose to suffer. If you really knew me, you'd know that I love reading your blog!! ;o) This post was so fun, loved getting to know you! Thank you for sharing your detailed info =) getting to know you more is great! Such an inspiring woman. I recognize a lot dear friend. Especially the part about fearing to lose a loved one, or not being able to take care of the children for as long and as much as they need it. Oh just the thought alone makes me shiver. Anyway, I ofcourse don't really know you. Not really. We never met, we talked just a little bit. But still I think I dare to say that I know some things about you. Like that you are a kind and warm-hearted person. And that I like that a lot about you! grocery shopping is MY least favorite too! eeek, i postpone it until i absolutely NEED food. LOVE the picture of Chris & A! lovely. just lovely Mrs. Wiegand. also - title of my blog relates to that feeling of if you are beautiful, you are loved. I have only been reading your blog a couple of weeks and quickly you have become a favorite! I love this blog... I think you are fantastic. great post! I love a clean house too and long walks and I WILL NOT watch scary movies :) ! LOVE this post and that pic is AMAZING!!! I love this post Casey & that picture is adorable! What a sweet post. I think It's kind of comforting to know that someone like you is still insecure. Thanks for your honesty. Hi Casey - i love these kinds of posts and the "if you asked me" ones! So brave of you to share your heart -- i resonate with several things you mention! We arent alone and that brings me so much comfort! I hope you know that too - you aren't alone! Have a wonderful weekend - keeping you in my prayers - blessings to you and Apple! 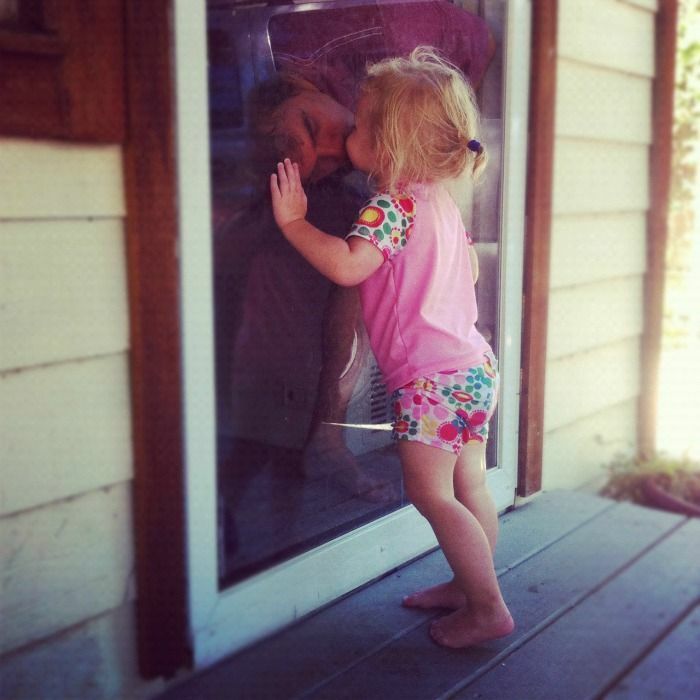 So sweet, and your little Ainsleigh is a doll! If you really knew me you'd know how oh so very much I love the light that you share in this little space of yours and how grateful I am to you for it. I could have written the part about insecurity and fear myself! Why is that we all struggle with those things? Such a beautiful post from such an inspiring person! Casey, you are so inspiring. I am grateful to have found your blog. My continued prayers for you, the baby and your family as you get closer to welcoming her. Thanks again. love this:) Funny, I thought the same thing about security and marriage. Seems I started struggling MORE with issues like security upon getting married! Hard to believe when I have such a hottie for a husband who is constantly telling me I am loved and I am worth it and I am beautiful. You are really beautiful Casey and I love reading your blog and finding encouragement and like minded thoughts. Reading about your faith has been encouraging too as I have always been a Christian but married with children it seems like a whole new ball game in regards to where I find myself with Heavenly Father these days. Oh my... such sweetness. We are oh so much alike. And I LOVE that photo above! Oh, and I also love 'follow friday'!!! Thanks so much for sharing - I just linked mine up... it is amazing that we are so insecure, and so hard on ourselves, and yet each and every other person we encounter is battling something too, just like we are! That's one of the things I love about blogging and bloggers... it gives me a chance to share myself and peek into others' lives and hearts (without dealing with the face-to-face nerves that go with my own social anxieties that you'll read about on my own post)! God Bless! i appreciate your honesty in this...and every post. i also struggle with terrible fear and insecurity. they are constants in my life that i don't know how to overcome. i feel like they are especially difficult feelings that many people don't really understand. reading your words is always a joy. you encourage me more times than you know.